GreenHosting Review 2019: Is GreenHosting a Good Hosting? At GreenHosting, the focus is more on ensuring servers powered by green energy rather than on giving you the best web hosting features. They do strike a good balance between the two though and are worth checking out if you want to contribute towards a cleaner environment. As the name suggests, GreenHosting offers environment-friendly website hosting for customers in Canada. 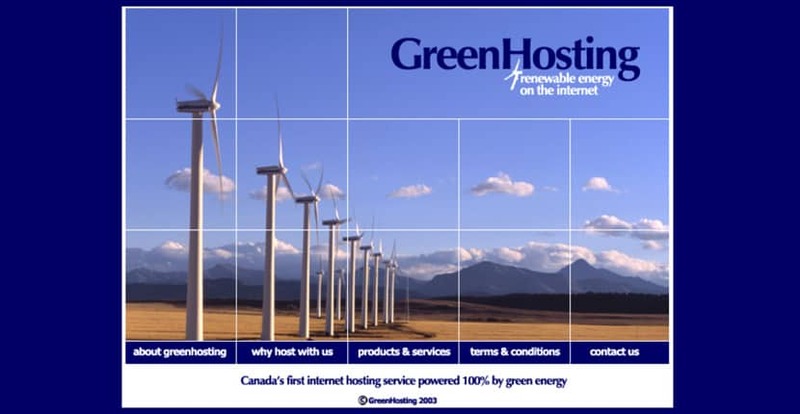 GreenHosting is a project of the Canadian Association for Renewable Energies (CARE) and started their mission in 2001. Their service is meant primarily for organizations that want to help protect the environment, so the average person looking for budget hosting might not find much of use here. GreenHosting’s mission is to provide hosting powered by renewable energy. To achieve that, they have to keep the features at a minimum to make the hosting affordable and easy to manage. Hence, most webmasters won’t be impressed by what they have to offer. To start with, they only offer 5MB storage (remember floppy disks?). Yes, you read that right. 5MB means you’ll have a tough time getting all your data on the website, which is exactly why this hosting service is suited to organizations that don’t have large storage requirements and can afford the premium that has to be paid for these services. You do get unlimited data transfer, though. Additionally, you get five POP3 email accounts with unlimited email forwarding and email aliases. They state clearly on their website that they don’t offer any support for configuring your email software. You can easily ask for more disk storage and email accounts, but both come with an added charge. Your hosting account will be based on your choice of a Windows or Linux OS. You get 24/7 FTP access, support for ODBC databases, MS FrontPage extensions, ASP, PHP, and CGI as well as access to detailed statistics about your website’s performance. They have an on-site UPS power backup to ensure decent uptime, but they don’t specifically mention if they take a backup of your data or not. This means you might have to create your own local backups. GreenHosting will transfer your domain free of cost, but if you have to purchase a new one, you have to inform them about your desired username. If it’s available, they can register it for you, though once again this will be at a hefty fee. In order to keep their costs low, they do not provide any e-commerce services. GreenHosting offers a single shared hosting package only, and this comes with a heavy price tag. They recommend you only use their services if you don’t have large disk space requirements. This is because they only offer 5MB of disk space with an additional 5MB available at a sum with which you can easily buy a whole year’s worth of hosting from other providers. Clearly, we aren’t looking at the best package in the world. The reason for these expensive charges and lack of features is the fact that renewable energy comes at a premium. Calgary’s ENMAX program is what powers the servers at GreenHosting, and they charge users a monthly fee that’s reflected in the charges at GreenHosting. If you’re a CARE member, you are eligible for a discount of about 25%. Customer support is almost non-existent, with contact only possible by phone, fax, and email. Their website doesn’t explicitly state the timings, but it looks like they are only reachable during office hours. By hosting your website at GreenHosting, you’re contributing towards keeping the environment clean. The features on offer may not be the most attractive, but they sure do help in a noble cause. Wondering how GreenHosting stacks up against other Web Hosting companies? Enter any other Web Hosting company and we will give you a side-by-side comparison.